Transform customer experience and improve business performance. Improving the efficiency of call centre communications. Intuitive Voice, SMS & Mobile solutions that improve the way you handle calls. Seamless integration with an IVR. Integrate your call centre with a Hosted Interactive Voice Response system (IVR) to provide self-service options that reduce customer's waiting times and route incoming calls to the right sales and support agents in the correct departments. Our Voice products offer fully configurable options for both the decision steps in both inbound and outbound call flows to enable your customers to be directed correctly and your business to operate smoothly. Multi-channel contact doesn't have to be complex. Use a combination of SMS and Voice to maximise customer satisfaction. 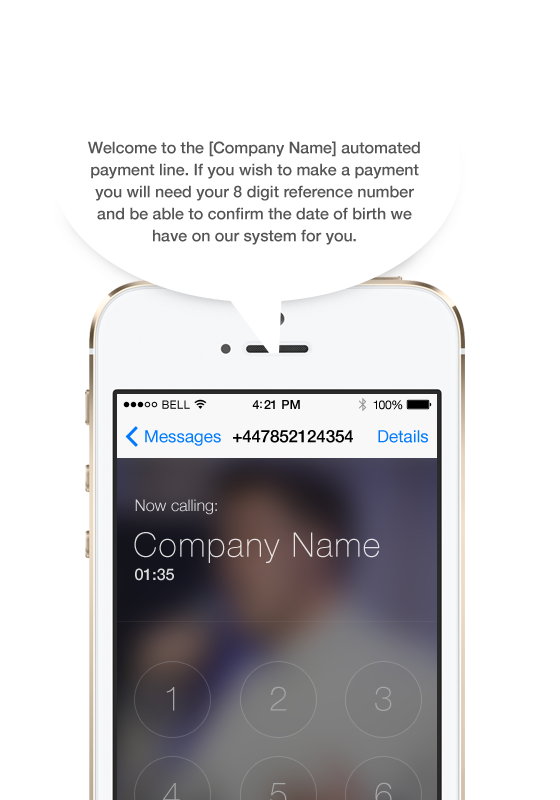 Trigger an SMS as a receipt for payment or implement Text-to-callback when customers feel call waiting times are too long. Adjust the number of concurrent calls you want to attempt over the course of a specified time frame prioritising targets according to your contact centre's goals. You can build an intelligent call flow involving retry strategies and customer specific rollover criteria tailored to your requirements. There’s always a conversation to be had and with SMS chat it can be had within an instant. By tackling common sales or support questions using text message, you can free-up phone lines for high priority call escalation. The average cost of a live-agent service call is around £8 but SMS costs a few pennies per text message. "The successful combination of text, voice, IVR and payments has made mobile a core messaging channel in npower, rather than a bolt on service." Interactive multi-channel call centre solutions. The IVR experience is your customer’s first impression of your business and successful contact centres correctly route a call without delay. This allows an agent to be more responsive to a customer's needs and in turn produce a better outcome. Esendex Inbound and Outbound Voice products can be adapted to an individual contact centre's requirements and then can be combined with SMS, Email and Mobile Web to increase engagement and lower costs. Secure, compliant and flexible, our high quality, affordable and easy to manage solutions can be implemented across numerous industries to take payments, answer support queris and reduce call waiting times. Automate SMS surveys to be sent after a call to follow up with your customers and contacts. Collecting feedback is a must for any business wishing to provide their customers with the level of service they expect. From intelligently routing large volumes of calls concurrently to making a substantial number of calls automatically, Esendex Voice frees up your agents to make time for higher priority interactions. "By 2020, the customer will manage 85% of the relationship with an enterprise without human interaction"
Preference of automated self-service by consumers has doubled to 55% since 2011. Only 7% of call centres currently offer an IVR solution. 52% of consumer use more than three channels when seeking customer care.